February | 2015 | Musings of a Scary Horror Writer. Run Like Hell and The Stan Winston School. Hey all, just wanted to give you a quick head’s up that I wrote a small piece on Run Like Hell for my old employers, The Stan Winston School of the Character Arts. They ran it on their site and figured I’d link it here as well. Check it out, won’t you? 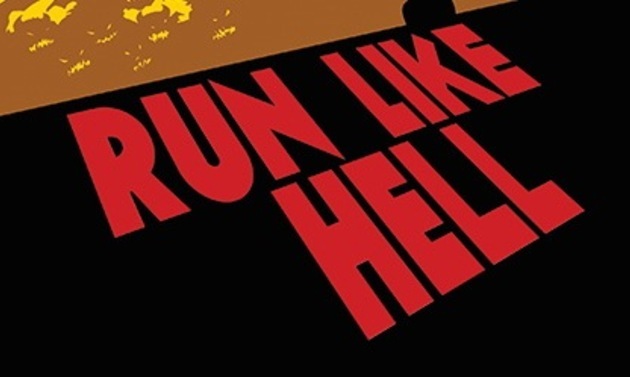 Also, there will be more websites that are running stories about Run Like Hell in the future, as well as upcoming reviews, so stay tuned for more updates! And spread the word about RUN LIKE HELL!!! Click “BUY NOW” to purchase! Okay, so yeah. Looks like I went on one of those little disappearing spells I’m prone to do with this blog from time to time. 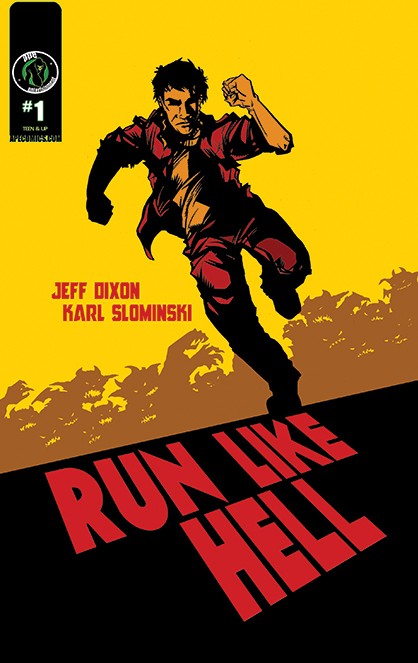 Other than a brief snippet of joy this morning announcing that RUN LIKE HELL has finally been released(! ), it’s been three and half months of silence from me since Halloween. Well, I usually have some kind of Halloween hangover, but this is ridiculous. Let’s just say, the reason for the disappearance this time can be chalked up to a combo of both good news and bad news. For some that have been following what’s going on, you definitely know the bad news… Let me finally talk about this elephant in the room since so many people have been asking me about it these past few months. 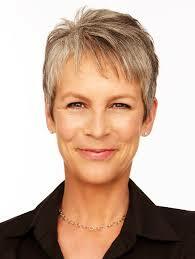 Yes, Jamie Lee Curtis, my actress, my fellow executive producer, my horror muse, an amazing woman, and someone who became a friend, has exited my ABC Family horror TV show The Final Girls, to topline a pretty similar competing FOX horror TV show called, Scream Queens. So in just over a year, we went from this…. Yep, I lost her to Ryan Murphy of American Horror Story and Glee fame. He’s definitely more powerful than little old me. He is absolutely the Goliath to my David. What can you do? Now, I know what you’re thinking. This is TV. TV moves fast. A show that was supposedly “fast tracked” but had been sitting on the shelf for a year seems like it wasn’t happening anyway. But au contraire. The Final Girls was not sitting on the shelf at all. There were many behind the scenes machinations going on, just not publicly. We were still very much alive at ABC Family (and still are actually, at least as of the time of this posting.) So how could this happen? I can not blame Jamie. And yes, we WILL work together again in the future. I’ll make sure of it. But look, not blaming Jamie still doesn’t diminish the fact that this was NOT an easy situation for me… to say the least. This was my horror heaven situation. To take it back to the beginning, I met Jamie through a friend of mine Steve Miner (a horror idol of mine, not to mention my other executive producer on the show) very early on in the process. She said that for so many years she had shied away from her horror roots, but after a magical experience at a horror convention, she realized that horror was what she’d be remembered for after all. Soon after, she read my pilot for The Final Girls and told me that this was the perfect thing that spurred her to “return to horror in the right way.” It was a pivotal moment for me. A validation of years of hard work in the horror biz, told to me by the goddess of horror herself. Soon after that, Jamie, Steve, and I pitched the project all around town, driving around in the same car, spending every second together, in 48 of the best hours of this horror nerd’s life. There were so many anecdotes. I’d regret if I didn’t at least give you a little peek down memory lane. It was so much fun. I think it’s cathartic for me to look back. I remember this little tidbit. Jamie lives relatively close to me, so every morning I’d drive to her house and hang a bit before the driver came to pick us up for the pitches (yes, we were driven by Jamie’s driver, how cool, right??) I’ll still never forget sitting in her kitchen the first day when she sat down and showed me a book of baby penguins. She told me that these cute and fuzzy penguins were exactly like the Final Girls of our show, pure and innocent… BEFORE their lives were torn apart by the murdering madmen that turned them into something else. It was awesome. She was so into it. So into the project. It was such a surreal moment that totally spoke to me, and I remember even bringing it up in one of the pitches. I’ll never forget when I got to meet her husband Chris Guest. An absolute IDOL of mine. 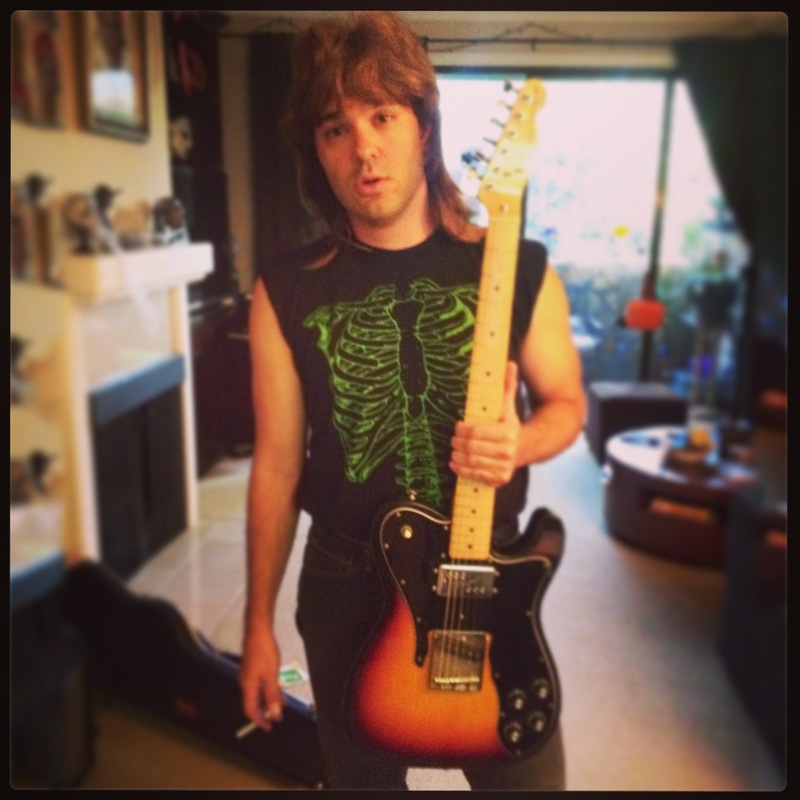 I even dressed up as Nigel Tufnel for Halloween that year and texted Jamie a picture of it. She said that she thought it was funny, but that he wouldn’t find it funny at all. It was such a bizarre and meta moment that I still have a hard time believing it. I remember our crazy pitch at HBO and Cinemax where I pitched to 9 (or was it 10?) people across the world’s largest conference table. Plus, I had to freakin’ follow Amy Poehler, who was pitching a different show right before me. This was right after the HBO pitch, and right before MTV… I’m such a giddy fool. I remember having some time to kill between pitches so we went shopping for Chris, or we stopped at coffee shops where I watched countless people come talk to Jamie, or we’d drive around to weird locations and take Instagram photos. All in all, it was just so much fun, I can’t even begin to tell you every tidbit. Just know, for me, it was a week I’ll never forget. The aforementioned horror nerd’s dream. But finally, the part I’ll never forget the MOST, was driving home exhausted from that first day of pitches, hearing that we already got our first offer. Alas, we set it up at ABC Family. And we were off and running. But as we all know… this business is full of surprise potholes. It’s no secret there was a massive regime change at ABC Family, which to no one’s fault, just kept adding delays to the project. There was this… There was that… Blah, blah, blah. You know how it goes. 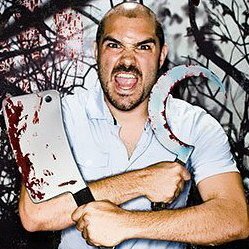 Please don’t claim that it was your original idea to bring Jamie back to the horror fold. Don’t claim credit for her horror resurrection. Just know that she was already cuddled up in her horror resurrection quite warmly with us when you pulled her away. No ill will. Business is business. I guess all this little fledging wants is a little bit of credit in helping Jamie decide to come back to the horror fold after saying for countless years that she wouldn’t. Now, I said earlier there was bad news AND good news. The good news is, as I mentioned earlier, The Final Girls is still alive (again, as of this posting.) Everyone seems in very good spirits about it, and ready to rock. Time will ultimately tell, but however it turns out, it’s been one hell of a ride already. 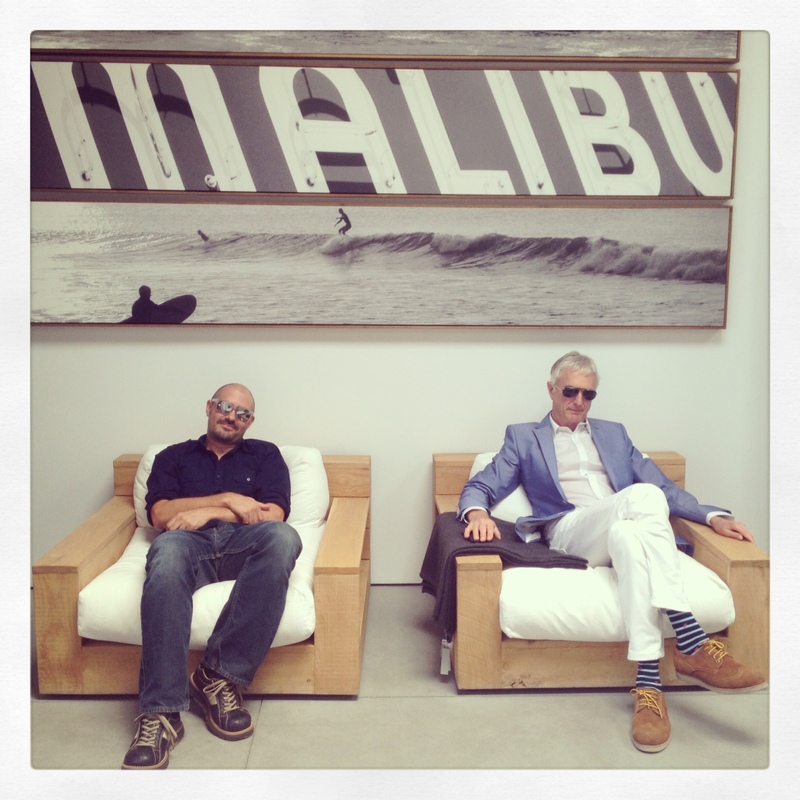 As for other good news, I just worked with Ivan Reitman’s company Montecito on a project. I’m pitching two separate new TV shows within the next month. My graphic novel is FINALLY coming out in print. And (gasp) lastly, but not least, I may be directing my first feature by year’s end. But shh, that one’s a secret so pretend like I didn’t say anything. Thanks for bearing with me on this long-winded discussion. But so many people have been asking me about it, I figured it was finally time to open up about it. Be good to each other folks. And I promise I’ll update sooner next time. Maybe.